Well hello my friends and fellow crafters, today we finally had some warm sunshine in Montana! I got to enjoy a bit of it, so this post is coming to you late at night. 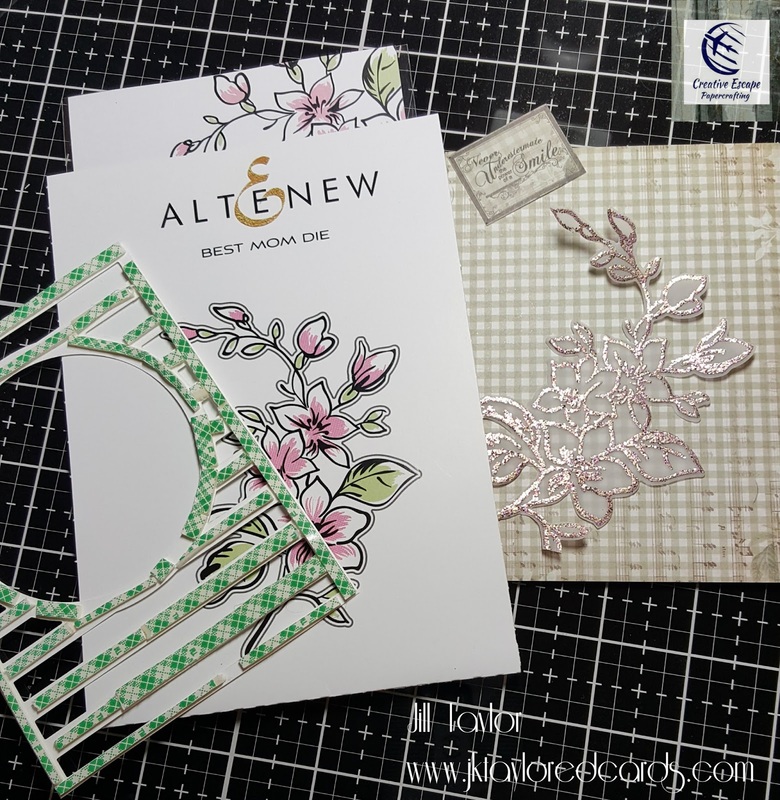 I've had some play time with the April Fully Loaded Kit, and I have 3 cards to share with you, more will come later. This kit is packed with goodies! It features products from Maggie Holmes "Flourish" collection (papers, cut-outs, ephemera) and other products that coordinate well with them. My first cards focus on the paper, cut-outs, and ephemera from the collection as well as other pieces from the kit that I will identify. 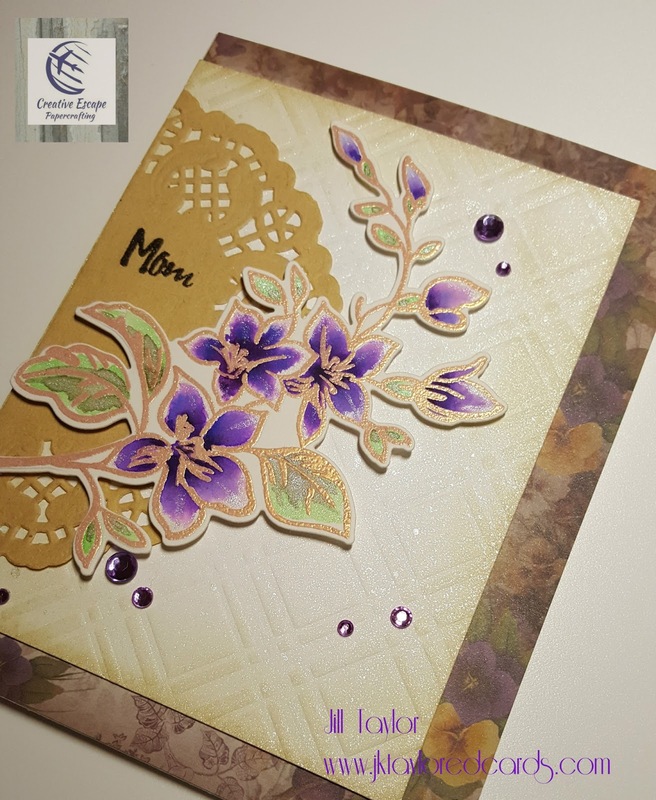 For my first card (I'll go clockwise from the lower left corner) I started with the beautiful blue roses specialty paper in the kit. 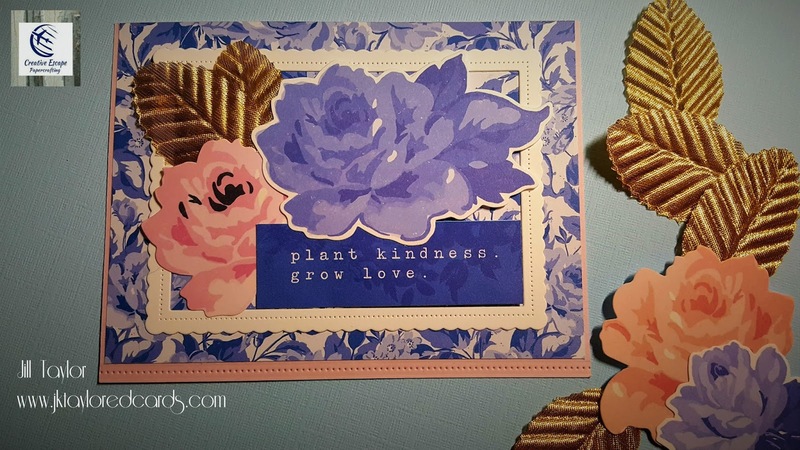 I added a white Avery Elle die-cut frame from my stash, chose 2 flowers from the ephemera in the kit, added the blue cut-apart sentiment tag, then grabbed 2 gold leaves (also in the ephemera pack). I used some dimensional foam adhesive on most of the roses and the sentiment tag. I adhered all of that to the pink cardstock provided in the kit (cut to A2 size). 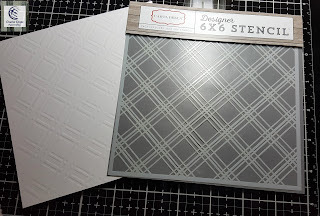 I decided to duplicate the stitches in the white frame die-cut, so I used the Stitched Lines die from Essentials by Ellen that I had on hand to trim the bottom of my base layer. Lastly, I used some white Nuvo drops from the store to add to the blue sentiment tag. One down, two to go! 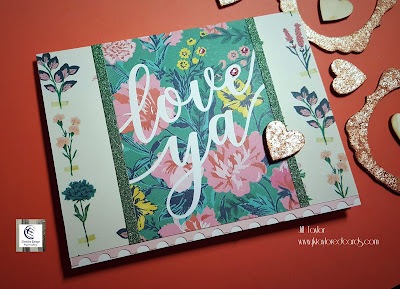 Card #2 utilized the cut-apart tag "Love Ya" as the centerpiece to my card. I mounted it onto some of the MH specialty paper in the kit, then trimmed the sides of the centerpiece with the green glitter cardstock in the kit. 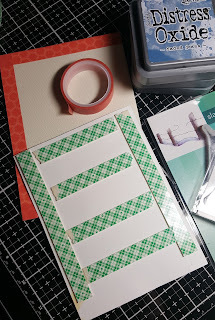 I adhered that to some of the pink cardstock in the kit that I used my Fiskars punch along the bottom edge, then adhered that to my card's base (the white cardstock provided in the kit). 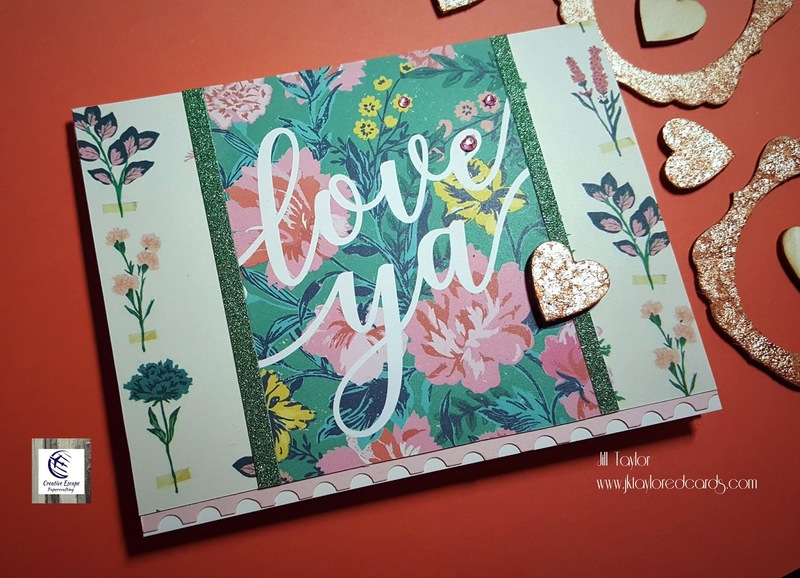 For embellishments, I gilded the wood heart in the kit with the Nuvo Rose Gold Flakes and glued it to my card. Lastly, I grabbed three of the pink gems from February's kit (2 small, 1 medium size) and placed them on my card as well. 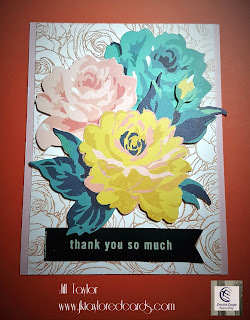 Finally, for card #3 I chose 3 flowers from the ephemera pack and the Thank You tag from Jen Hadfield from in the kit. I trimmed off the left side of the tag. 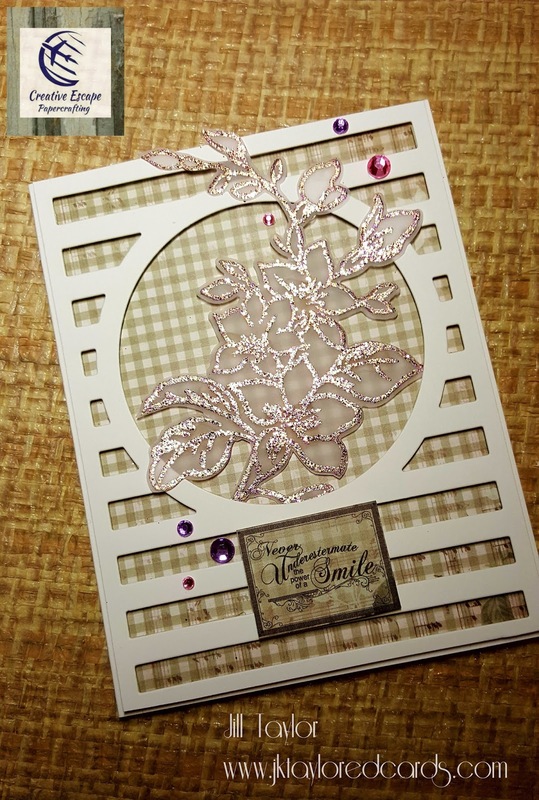 I decided to make my own background for this card by heat embossing a MFT's background stamp called Roses All Over. 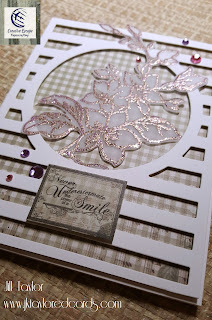 I used Lawn Fawn's Rose Gold embossing powder that I got as a substitution in my February kit. I layered my flowers on my front panel, popping up the last flower in the foreground. I adhered my front panel onto the pink cardstock in the kit (can you tell I love this color of pink?!) so that you see the pink along both sides. Simple and quick, but I think this is my favorite of the cards. Which one is yours? Many blessings to you and as always, happy crafting!! Welcome friends and crafters, thank you in helping me celebrate my new position as a Guest Designer for Creative Escape Papercrafting! 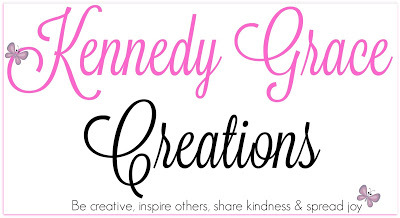 They specialize in making monthly kits to make cards, scrapbook layouts, or any number of creative projects. 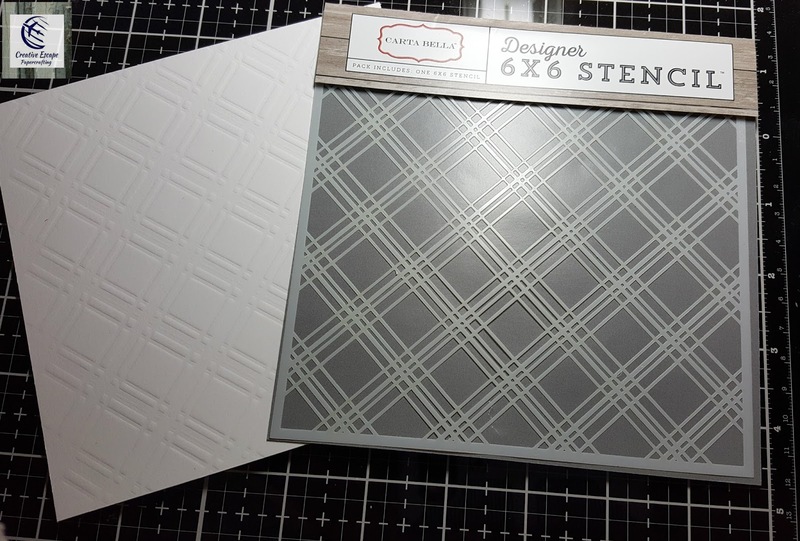 They also sell other crafty stuff that mesh well with their kits or can be used for other projects. 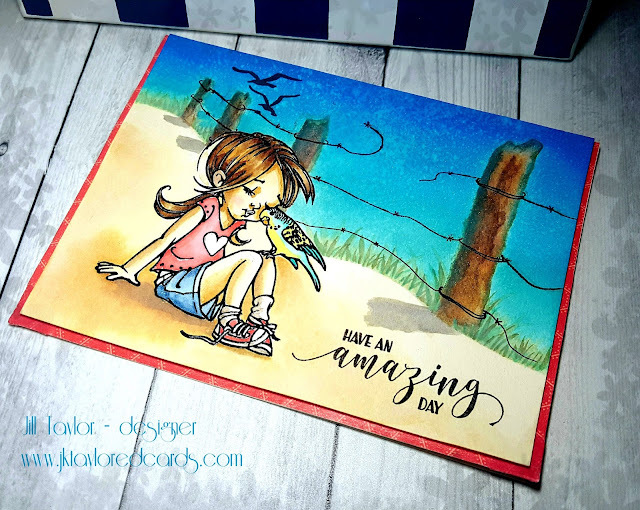 For me, I'll primarily be making cards, 'cuz that's what I love!! Anyhow, I've made 3 cards (so far) from a kit designed to make 10+ cards. I thought I'd divide my blog posts up, otherwise this post could get VERY long. I don't think blog posts should be too long as people naturally lose interest. My posts are long enough! I struggle with being concise. That being said, let's move along to the kit. I've decided to use the February "Fully Loaded" Kit which is released every other month. It has lots of goodies, but too many for me to list individually for you. (I did link it to the store). 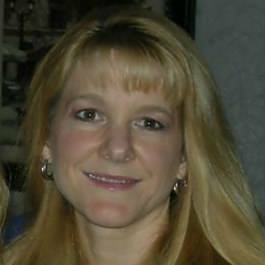 I will mention each piece I use and identify add-on products or other non-kit items that I use. Here is the kit I received. I did exchange the original embossing powder (because I already owned it). 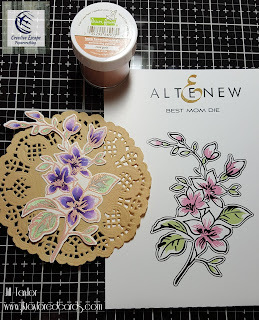 I got instead, Lawn Fawn's Rose Gold embossing powder. It's hard to see all that's there in the kit, but it is very generous. I'll point out each product I use. I did opt for a couple additional products from the store that complement the kit. I chose the matching die to the Altenew stamp set and a plaid stencil from Carta Bella. I then cut the kit's doily in half and adhered all the card layers (I used dimensional adhesive under the floral die cut). 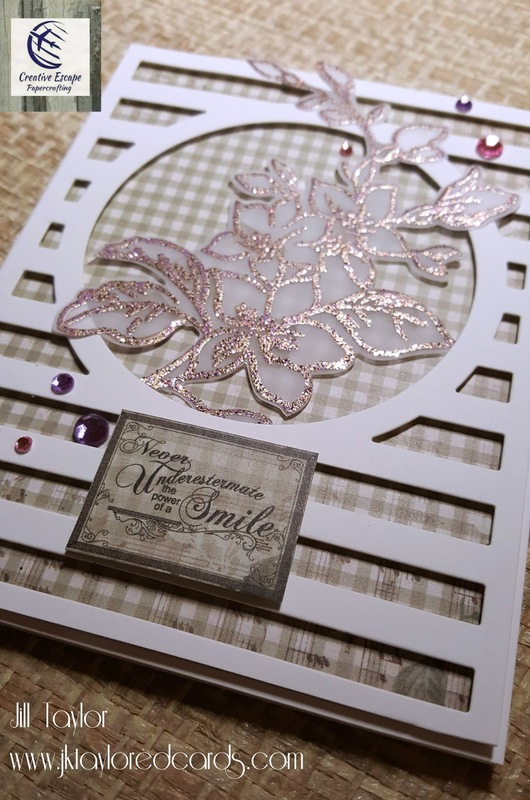 Next I stamped and embossed the "Mom" onto the doily. Lastly, I added the Bling! I used both light purple and medium purple gems. 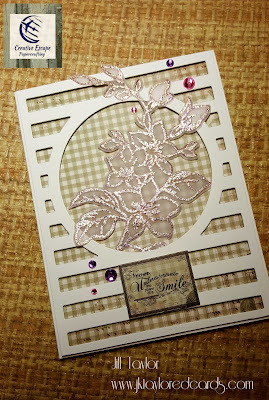 For card #2 I stamped the floral image on the provided vellum and then used the WOW! 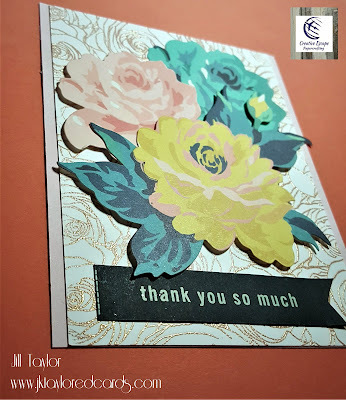 Turkish Nights embossing powder that originally came in the kit. It's a quite lovely glittery rose-gold color. I then die cut out the image. I scanned through the 12 sheets of 6x6 double-sided specialty paper from the Couture Creations "Hearts Ease" collection and picked out this lovely sage green plaid with leaves and music printed softly along the edges. This would be my background paper. 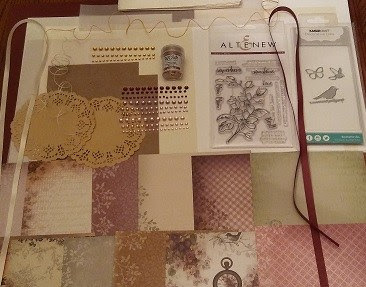 In my die collection, I have this Avery Elle die that I love to use. 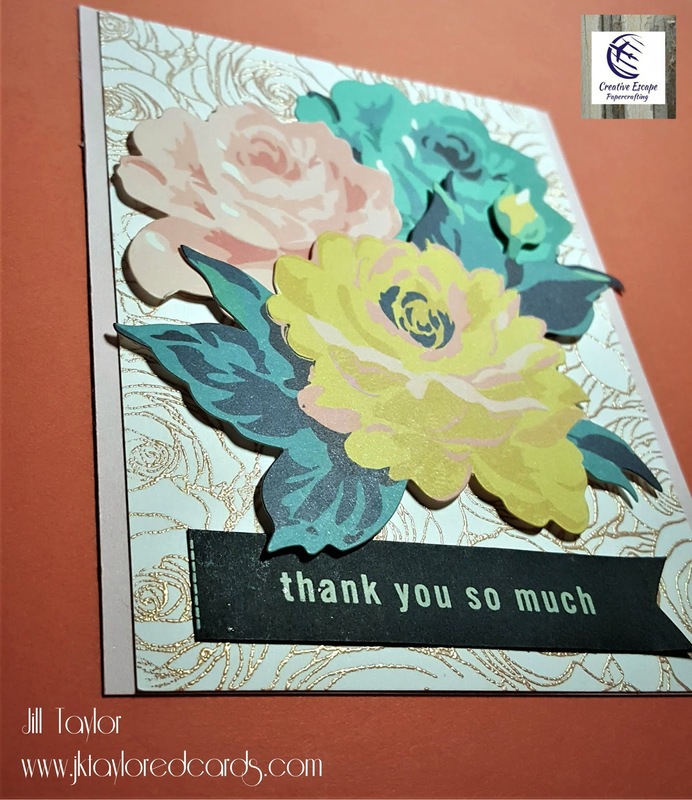 I chose to keep it simple by just using the white cardstock provided (I wanted all the focus on the beautiful flowers). I then tediously placed thin strips of Scotch 3M foam adhesive tape all along the back side of the die cut to give the card a lot of dimension. I used glue dots strategically placed on the vellum so as not to show. 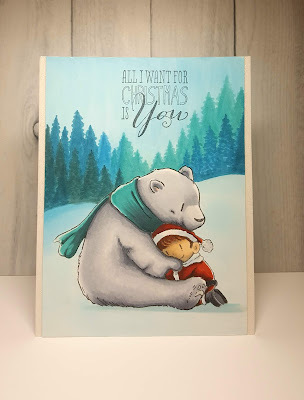 I considered a handmade sentiment, but decided to cut out this sentiment from the specialty paper, as it coordinated so well. I used dimensional adhesive to pop it up. Lastly, I adhered the Bling! Both the pink and light purple gems. For card #3 I wanted a monochromatic look to the card. I chose my background specialty paper, trimmed it down to 4"x 5.5" to allow my white card base edges to show. 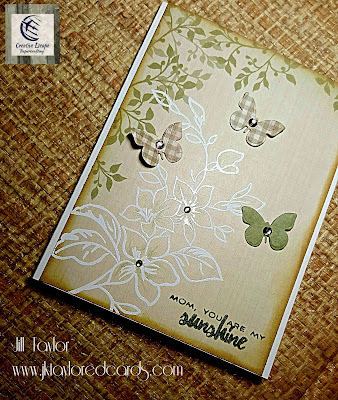 I used some of my white embossing powder and stamped the floral image directly onto the paper. I slightly distressed the specialty paper by sponging on some Distress Oxide Ink along the edges in similar color tones (Antique Linen and Frayed Burlap). Next I used the Kaisercraft Butterfly die in the kit and die cut 3 butterflies. I used 2 different specialty papers as 1 just didn't look right. I felt the flowers needed a little green as well, so I pulled out my Spectrum Noir Metallic Pencils and lightly colored the center of the flowers and drew in a little veining as well. I didn't have green gemstones in the kit, so I improvised. I used the pale purple gems from the kit and used 2 colors of Copic markers to color-correct the gems (I used y19 and B02). I placed the medium sized gems on the butterflies and 2 small gems on the flowers. 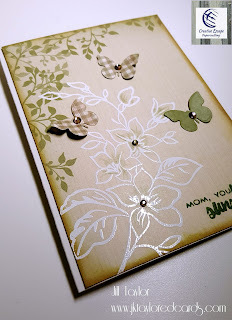 I adhered the butterflies with glue dots positioned off to one side so that I could lift up one side for a more natural and dimensional look. 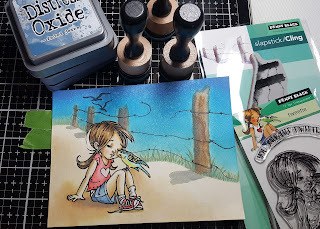 I stamped the sentiment from the Altenew stamp set in my Versafine CLAIR ink, in Shady Lane. It was the first time I used that ink and I just love it! 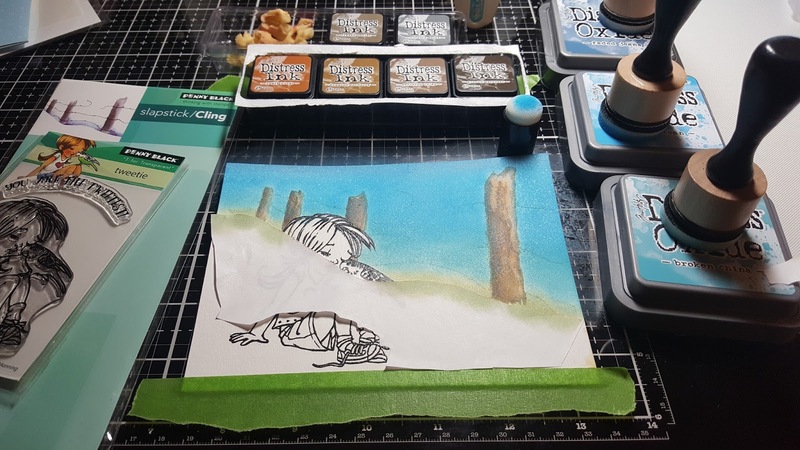 I bought about 10 colors, and if you are a fan of Versafine Black Onyx Ink (as I am), you'll love them too. They stamp very crisp and clean, especially better on clear stamps, where dye inks can sometimes fail to stamp completely. But that is for another blog post! As you can see, card #3 is quite simple and quick to make. I may repeat this card design, just in another color scheme. This concludes my 3 card blog post (long, I know!). Please forgive me. I will continue making cards from this kit and posting them, however... the April kit is due to arrive this coming week, so I gotta hurry!! If you enjoyed these cards, please visit our Facebook page and company blog and see all the wonderful creations from the other designers, watch card kit unboxing videos, as well as 10 cards 1 Kit videos. See all the extra information (such as kit contents) and announcements as well. If you'd like to see more of my work, visit me on Instagram as jktaylor911. Thank you so much for visiting my blog. 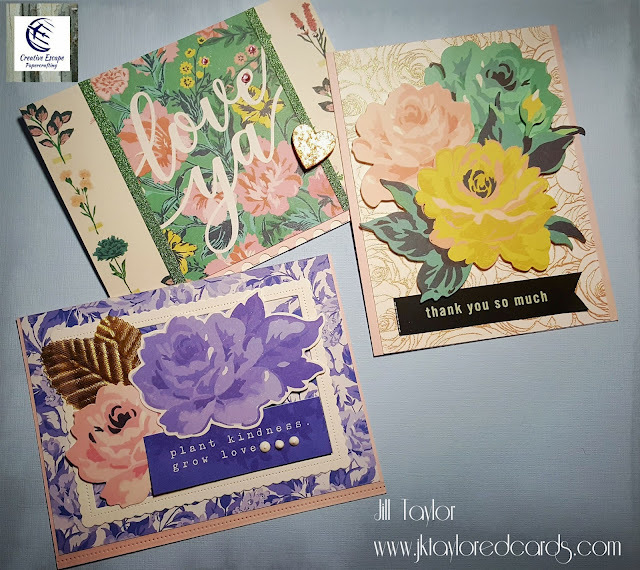 I hope that I've shown what amazing cards can be made from these kits and to familiarize you just a bit with Creative Escape Papercrafting. Don't forget to visit their store! !